A video has gone viral on YouTube, FB and other social media. It is a minute documentary made by Jason Russell for “Invisible Children” and it features Joseph Kony, the leader of the Lord’s Resistance Army in Uganda. To give you an idea of how this movie has gone wild, Michael Geheren, blogger for The Huffington Post, has stated: “The 27-minute video was posted on Vimeo and YouTube by Invisible Children and became a worldwide trending topic on the Internet. Personally, I have never seen an outpour of support from people on my Facebook news feed like this.” He is right, the re-posting of this link has been nothing short of amazing. So what’s the hoopla and why should you care? First of all, if you are a Christian, this man is a travesty to the name of Christ. He mixes spiritualist beliefs with pagan and Christian thoughts and he claims to have direct authority from the Almighty Himself. He misuses Scriptures to advance his own evil causes. If he is not the devil himself, he must be his clone. 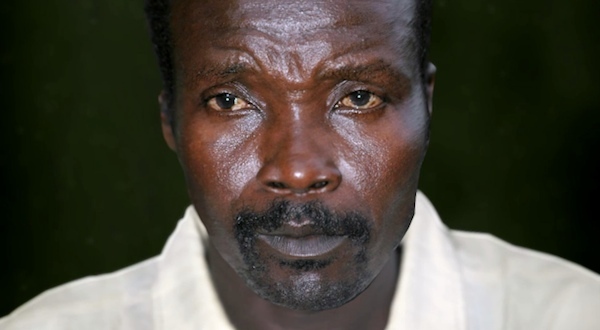 “Kony is the devil’s clone” — it does sound like a jingle, doesn’t it? Secondly, if you have children and they are blessed to have been born in freedom, you should care. This man has personally been responsible for the kidnapping and brain washing of almost 70,000 children, and he has forced them to fight for him, often killing all their family members (or forcing the children to do so) in order that they might have no one to go back to. So you should lend your voice for at least two reasons: 1.out of outrage for this horrendous evil being visited upon small children; 2.out of thankfulness for the fact that your children more than likely will never cross paths with someone like this evil man.